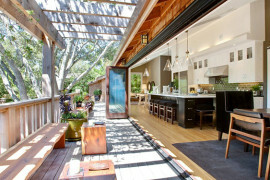 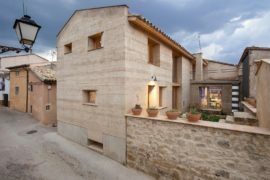 Who says that extraordinary properties lose their charm after the architectural trend is over? 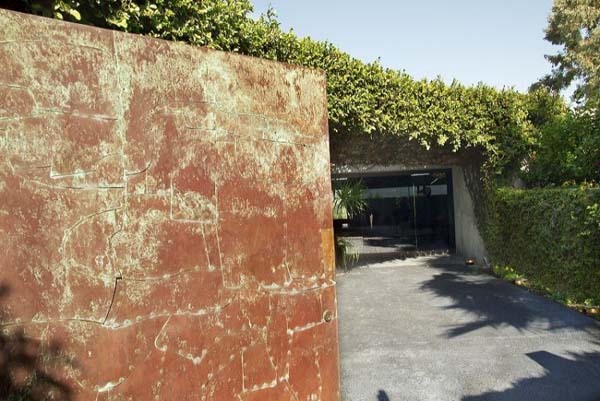 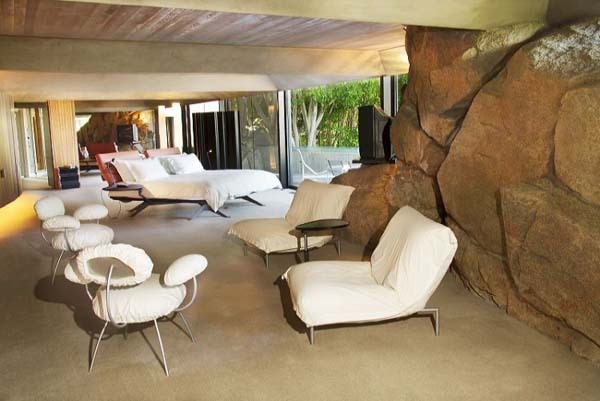 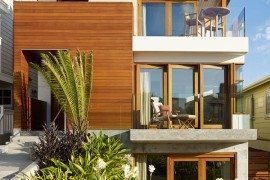 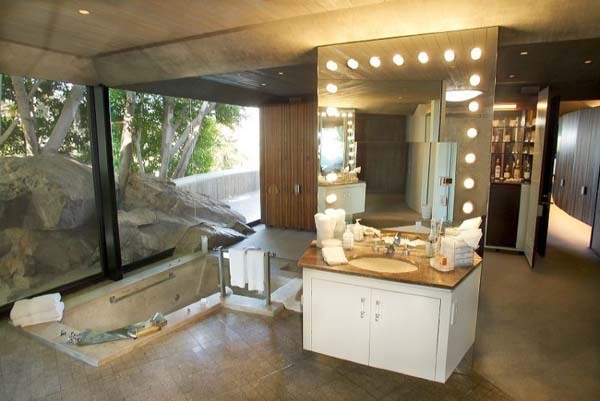 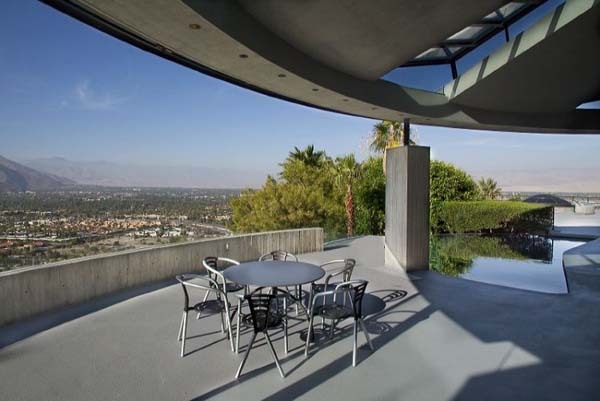 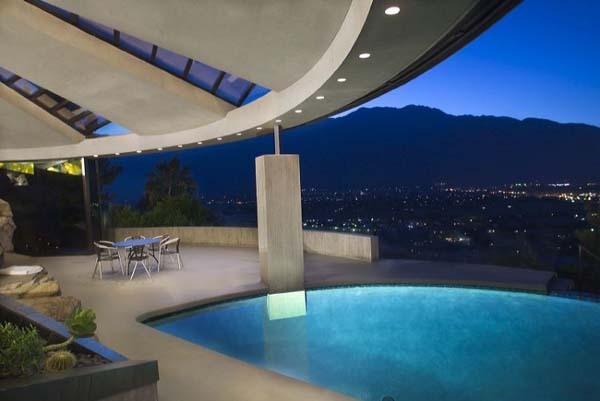 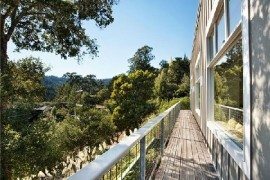 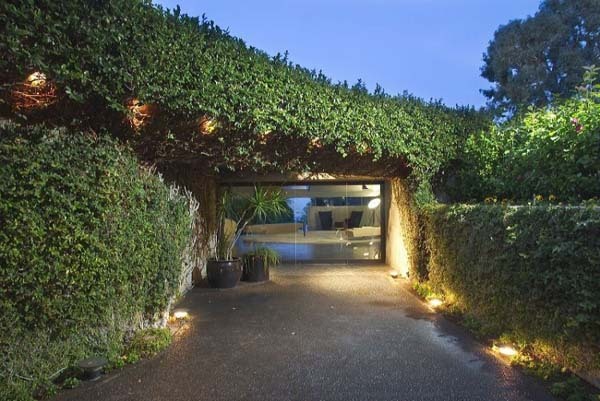 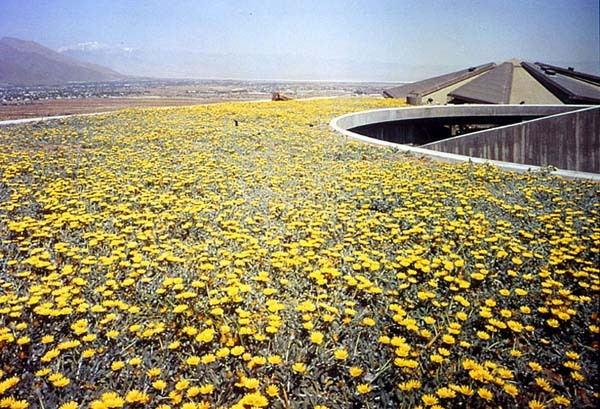 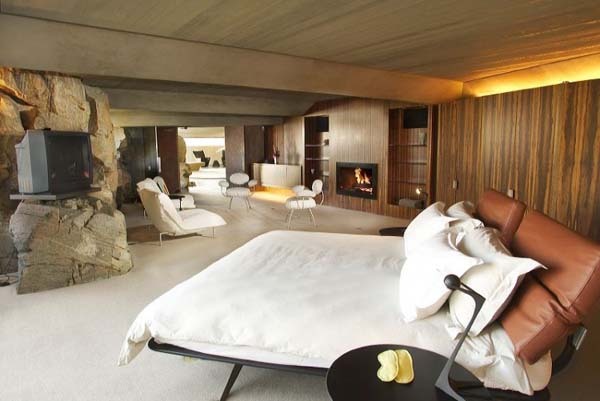 This next house was constructed and beautifully designed in the 1970s, but not long ago it received a contemporary makeover from John Lautner. 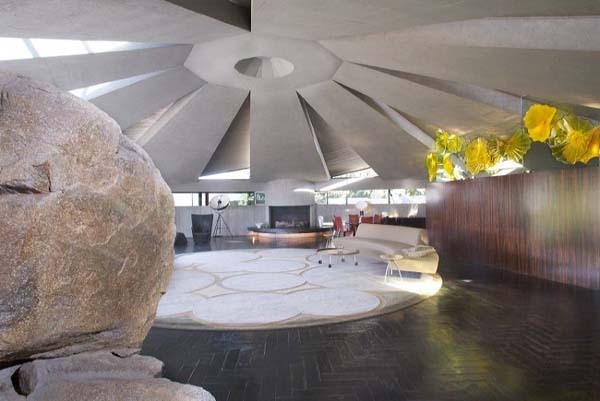 The five bedrooms home features five and a half bathrooms and a 60’-wide circular living space. 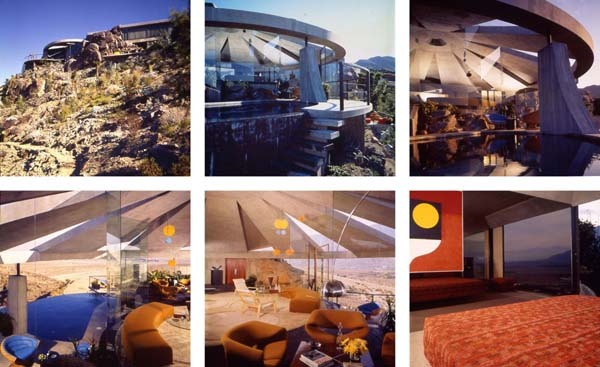 Known as The Elrod House, the exceptional ever-lasting architectural masterpiece can be bought from here. 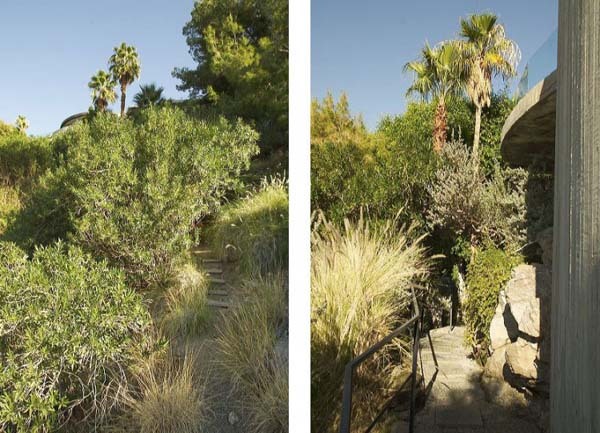 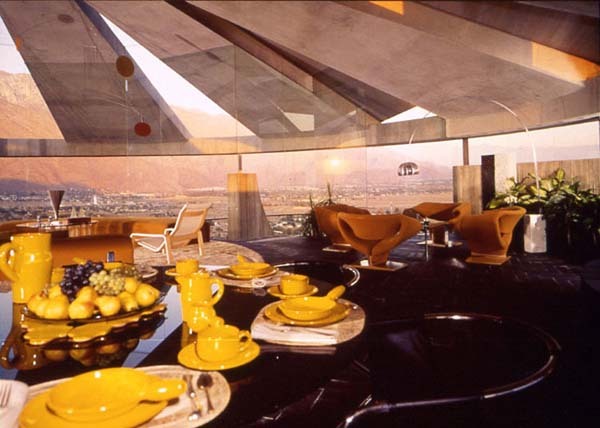 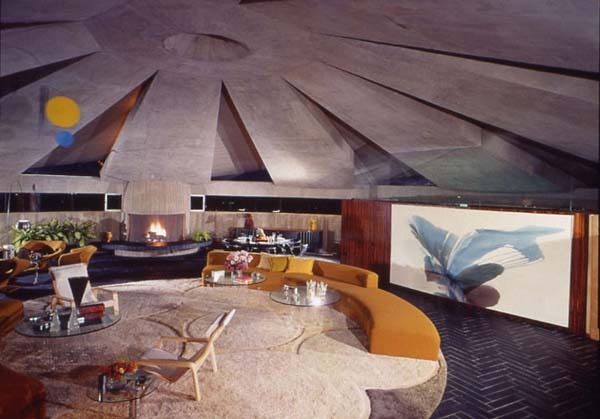 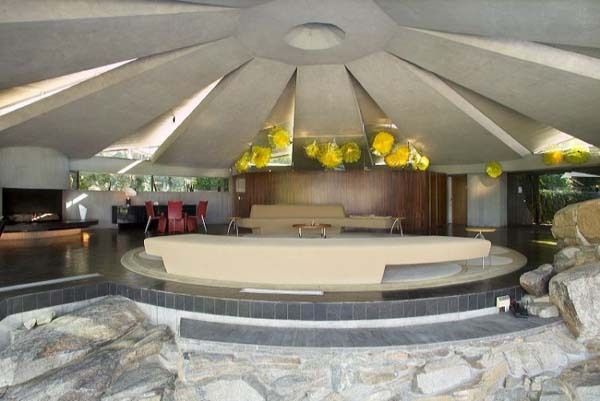 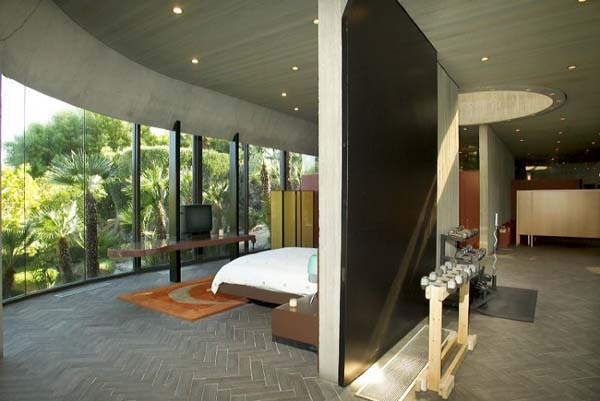 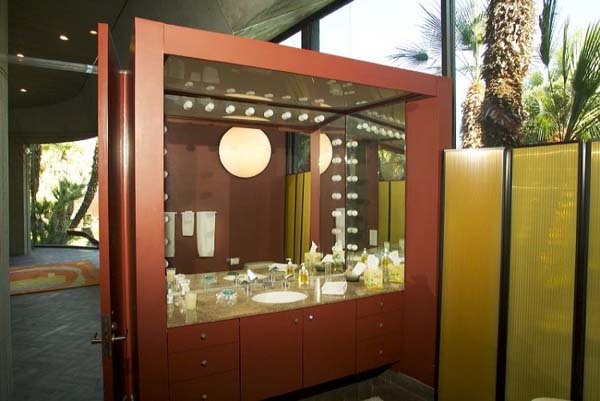 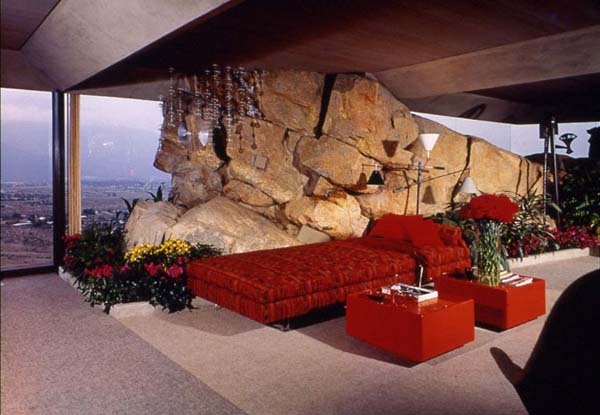 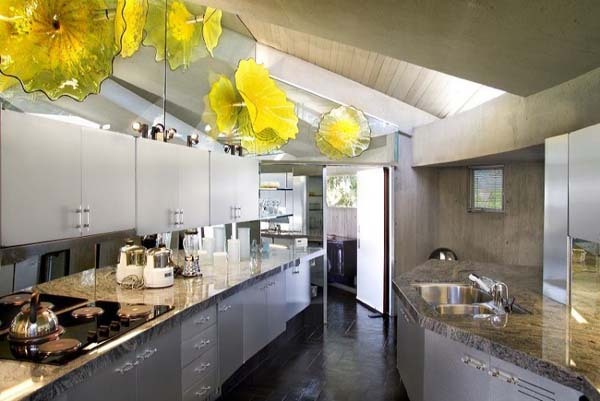 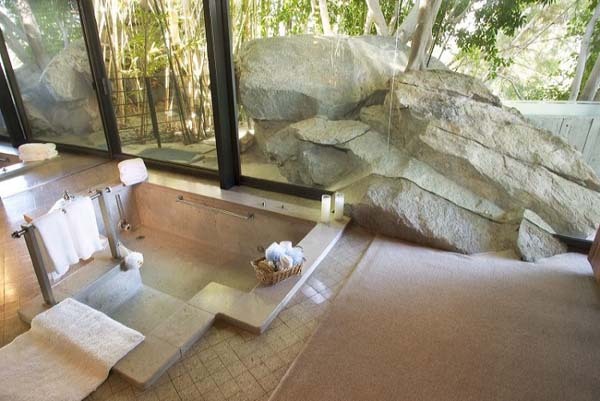 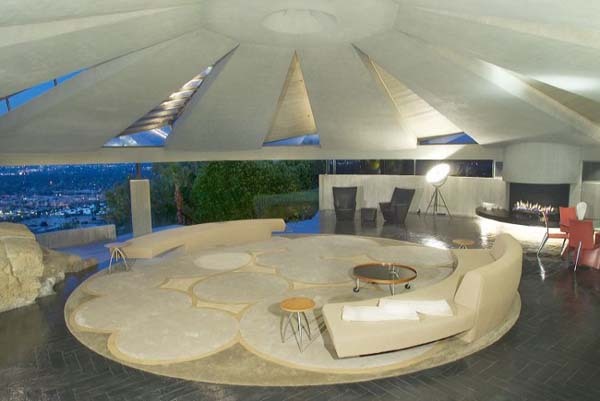 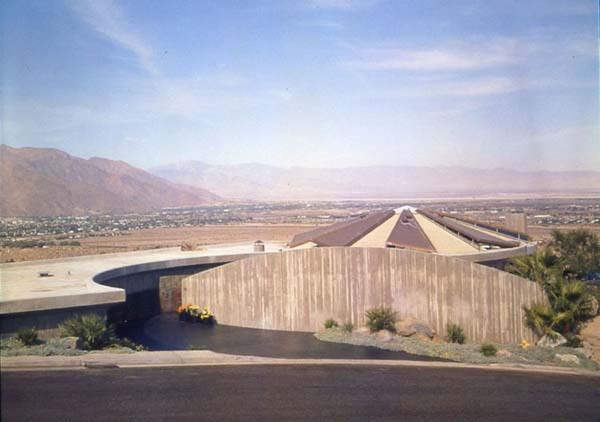 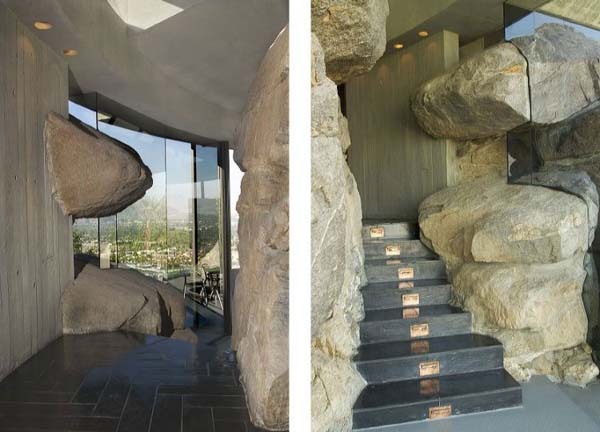 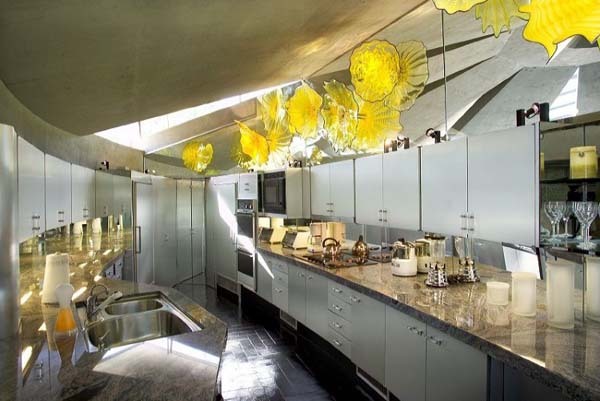 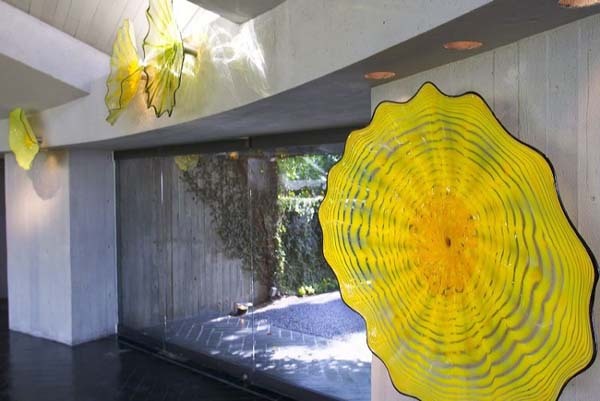 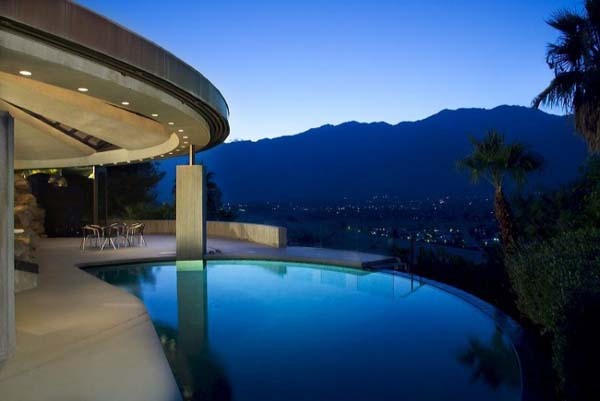 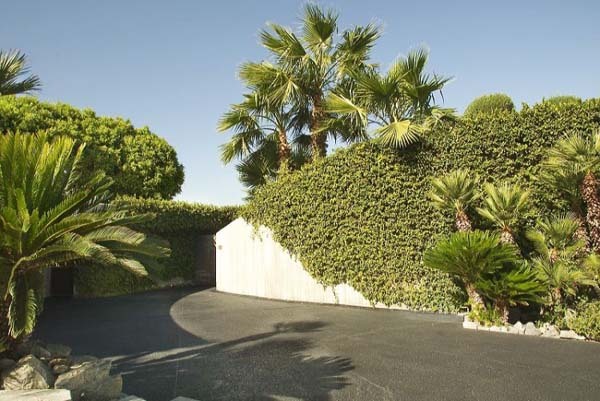 Located in Palm Springs, California, on the Southridge enclave, the extraordinary residence that has been features many times over the years in multiple magazines and exhibitions shelters a superb collection of spaces. 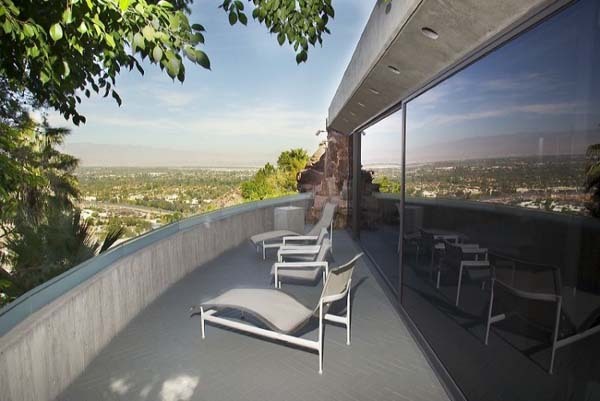 Extensive views of Mount San Jacinto and Mount San Gorgonio can be enjoyed from its living room and pool terrace. 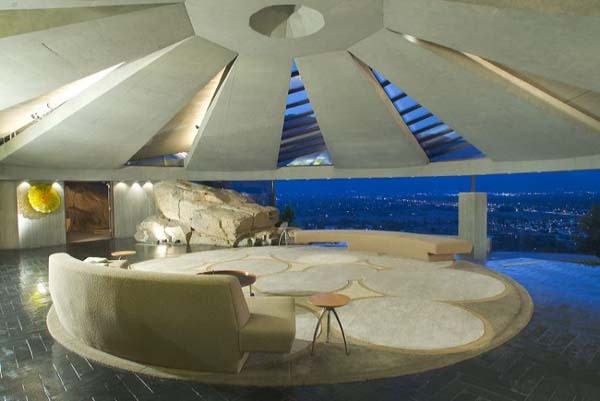 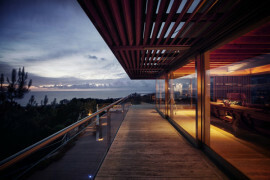 With retractable curved glass curtain walls, the living space opens up to the surroundings, offering a unique panoramic experience. 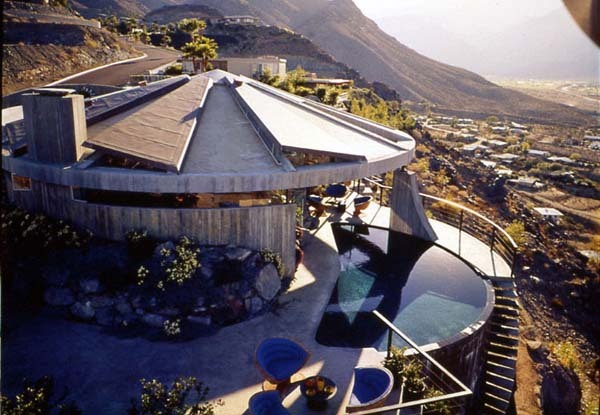 Featured in the classic 1971 James Bond movie, “Diamonds Are Forever”, the 8,901 square feet home features a large entertaining deck, a guest house and a personal gym. 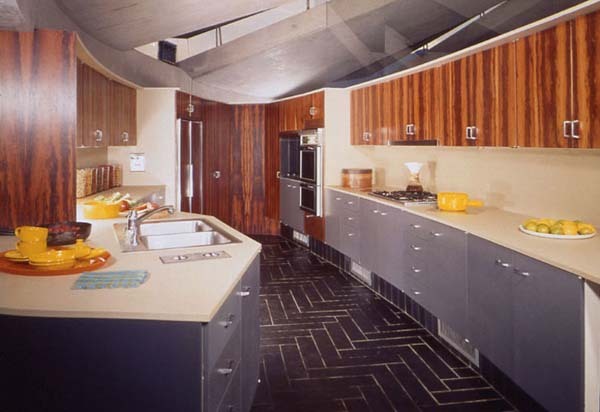 Enjoy the photos of the newly revamped house and some pictures of how the interiors looked in the 1970s. 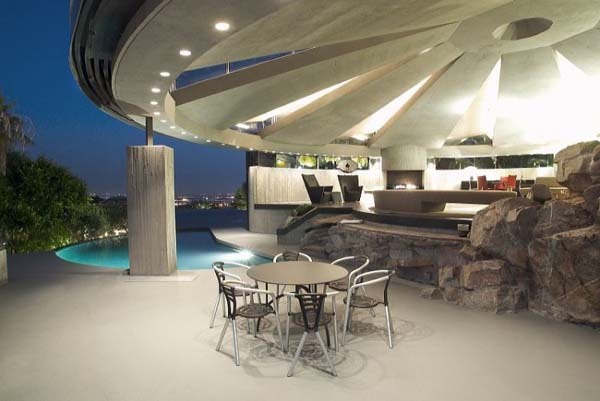 Try to imagine how it will look like 40 years from now.